After all these years, the debate continues. You have one camp over here, rallying for traditional saunas for very specific reasons, and you have another camp over there, swearing by the unconventional sauna for a totally different set of reasons. Before we can conclude which is the better and more beneficial option—a steam room or an infrared sauna—we must first talk about the simple mechanics of each and decide from there. Steam rooms, by definition, are non-porous, hermetic and specifically designed to release a profusion of steam via generators that produce approximately 100 percent humidity by boiling water to create a steamy environment from the outside in, supplying moist heat to its occupants. Steam rooms have precise electrical regulations and specific guidelines to follow in regard to plumbing. The ceilings are comprised of premium materials. They are normally built at a slope to ensure that the concentrated moisture streams down the walls for dripping purposes. This prevents it from leaking on the occupant. The walls are typically made of stone, ceramic, tile and sometimes glass. Temperatures in the steam room commonly hover around the 120 degree mark or so. 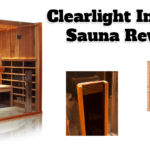 On the other hand, in lieu of ceramic or stone walls, infrared saunas are majorly wood-based in nature. Infrared heaters are used instead of generators; the heaters release heat but not heat as usual. They emit infrared lighting, and the occupant of the sauna experiences that light directly as a thermic, beaming heat. You could call them infrared rays. These rays infiltrate the occupant’s epidermis and permeates the body. The temperature generally stays at moderate levels, like around 110 degrees. These are the key distinctions. So, now that the formalities are out of the way, we should further our investigation and settle once and for all that nagging question: infrared or steam? Good old-fashioned detoxification is probably the most prevalent reason people use steam rooms. Since it’s extremely hot in there, profuse sweating is inevitable. When the body sweats at this rate, up to 30 percent of toxicity and junk is discarded. At which point, vital organs, such as kidneys and the liver, get a much needed break, a much needed cleansing. Steam room users could find respiratory support almost instantly. If you’ve been diagnosed with or suffer from sinusitis or sinus issues, allergies or even cold symptoms, this may be a wonderful outlet for you. If you are loaded with mucus or chest congestion, giving the steam room a go might work wonders for you. At the very least, you should receive some manner of reprieve. When the body is exposed to the heated environment, it goes into a state of febrility for a while, especially when you have a cold. You could call it hyperthermia. It contends with and ousts those contaminants attempting to sneak into your system. Antibodies are released, the kind that fights infections, and recuperation ensues. In essence, partaking in steam baths on a regular basis will raise immunity significantly, combating a myriad of sicknesses and diseases and stopping them in their tracks. The moist and climatic air has the ability to open stuffy nasal passages, making it a lot easier for you to breathe. It’s essentially a form of natural medicine or remedy. It has expectorant-like effects. Who knows? You might be able to skip the doctor’s office altogether. If not, recovery time could be a little swifter, and that’s still a win-win. Another benefit is skin clarification. Regardless of skin type, you’ll likely tap into solace in the steam room. If you’re susceptible to breakouts or blemishes, no problem. The enriched air quality, which is full of moisture, will stir up healing properties and unclog pores. Using a steam room helps the skin intake nutrients more effortlessly. A compelling argument has been made, citing steam rooms might have a positive consequence on cellulite. Collagen advancement and an uptick in metabolism may be linked to steam room usage. With all this detox, purification, and metabolism boosting, weight loss could occur in short order. If your skin is naturally dry, don’t be surprised if after several sessions in a steam room you feel more moisturized, more hydrated. This equates to softness, of course, and maybe even a slight glow. If you’re the opposite and have oily skin, a couple of rounds in the steam room could balance how much oil your skin makes, ultimately leading to flawless or next-to-flawless skin. An insomniac can achieve worthwhile results, as well, because as soon as they hop out of the steam room, his or her body will go through a cooling off period. From there, a certain degree of serenity and peacefulness kicks in, and his or her temperature levels out, which promotes REM sleep, a long, healthy night’s rest. If you think about it, your body deserves the opportunity to relax and de-stress. There’s nothing wrong with pampering yourself. In fact, it’s imperative in so many ways. Steam rooms bring about a very therapeutic—and needed—experience. Steam rooms might have the capacity to stabilize blood pressure. This seems to work best when temperatures are set on the lower end. In due course, this could be a viable option for heart health. Interestingly, steam rooms improve blood circulation. Once the pulse rate is elevated, the body pumps additional blood through the body, thus the total circulation improvements. The pulse can reach numbers just above 25 percent. Perhaps you’re problem-free in the areas of skin, sinus and detox. What about joint pain? To the aforementioned point, steam rooms create an upsurge in blood flow and circulation, and that smooths over arthritis and joint pain. You might notice a measurable difference in how you feel. The inflammation and stiffness in your joints is subject to leave. Believe it or not, even though steam rooms have numerous advantages, they also have cons. For one, although they provide wonderful hydration for your skin, if not used responsibly, they could cause dehydration, and fast. Plus, because they are so humid and clammy and saturated with moisture, they are bacteria and fungi magnets. This is not only unsightly but potentially dangerous. Additionally, you must be sure the generator is mounted in a safe place as a caution against burns. Do your best to exit the steam room after 15-20 minutes. Continuing any longer could cause a loss in too many fluids, bringing on dehydration. Taking a shower afterward would be ideal as it tautens pores again. If you have certain serious conditions, such as circulatory issues, heart problems, low blood sugar, diabetes or low blood pressure, steam rooms may not be right for you. Contacting your doctor first is the way to go. Drinking water or other beverages to stay hydrated while occupying a steam room is crucial. Feeling squeamish or like you could faint any minute is an indication you need to quit your session immediately. Furthermore, a pregnant woman is not advised to use steam rooms, namely in her first trimester. This could cause birth defects and stymie her baby’s growth and development. In a sense, infrared saunas are the next best thing since physical exercise. The raised heart and metabolic rate and heavy sweating they produce are conducive to weight loss, minus the treadmills and the jump ropes and the ellipticals. 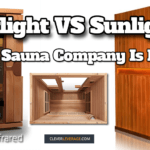 To many, in this fast-paced society, infrared saunas are super appealing for fitness and overall health. Compared to steam rooms, it delivers a better detox at lower temperatures, making it easier to stand. The rays or waves go through a phase referred to as resonant absorption. When the waves penetrate, they penetrate deeply, creating massive levels of heating, which triggers the user’s sweat glands. Toxins and impurities are expelled during this time. The infrared user feels the heat on contact, and the perspiration begins. The infrared heaters act similar to that of natural sunrays. Instead of heating the air within the enclosure, the infrared heating goes straight to the body. This is good for people who cannot tolerate balmy air, making it hard to breathe for them. There are masses of diseases, underlying conditions and illnesses that infrared therapy is supposed to cure or subdue. Here are several of them, but this is not an exhaustive list: cardiac symptoms and congestive heart failure, diabetes, particularly type 2, high blood pressure, and neurological problems, including Alzheimer’s. Infrared waves apparently augment blood circulation and are even said to reverse fatigue. On a lighter note, infrared saunas are simply calming and offer a pleasant experience, lessening aching, discomfort and stress. Although there aren’t many documented risks with infrared saunas, there are some that must be mentioned. If you don’t limit your session to about 20 to 25 minutes, it can lead to dehydration. 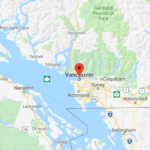 Infrared sauna usage may also have an adverse effect on people who require a pacemaker or those who have silicone implants or steel rods in their bodies or people who wear patches for certain skin conditions, and of course, pregnant women. Generally speaking, steam rooms and infrared saunas aren’t that different as far as the benefits they offer. It is our belief, however, that an infrared sauna is the best and safest option, if only for this one reason: As aforementioned, it delivers a better detox at lower temperatures. This perk alone makes it the clear winner. At any rate, the choice is yours. Choose wisely.